As a child John 3:16 was one of the first Bible verses I memorized. It is so engrained it comes to mind almost effortlessly. Sometimes there is a danger in this. In the effortless, I have overlooked the miraculous. I have recited this verse so often it sounds ordinary and mundane, but nothing about it is ordinary or mundane. So often I have just accepted it, failing to delve into its richness. “For God so loved the world…” God doesn’t just love those who love him. God doesn’t just love those who obey him. God doesn’t just love those who try to live good lives. God loves the world. Everyone ever created, God loves. Regardless of whether they reciprocate that love, obey him or consider themselves good people. God loves EVERYONE! God is love (1 John 4:8). Jesus embodies love. Love incarnate. He left the perfection of heaven. He took on the body of a mere mortal. He lived an ordinary life on earth with all its restrictions, weaknesses and suffering. He suffered on the cross and endured temporary separation from God (Matthew 27:46) so we could be with him for all eternity. When I think of Jesus, I am overwhelmed by his love. Love compelled Jesus to come to earth. To be born as a helpless baby. Love compelled Jesus to heal the sick, the blind and the lame. To raise the dead. Love compelled him to have compassion for the harassed and helpless (Matthew 9:36). Love compelled him endure the cross. At any moment he could have gotten off the cross. He could have said – Timeout. This is too much. They aren’t worth it. But he didn’t! The two greatest commandments hinge upon love – love God & love others. In life, our foremost priority is to love God. Grasping God’s love is paramount. Walking in this truth transforms lives. Love brings freedom. Freedom to know we are loved regardless. Freedom to let others off the hook to fill this need. We all crave love. Some of us have been denied love. Or love has been conditional. God’s love is not like human love. Just like salvation, we can’t earn God’s love (Ephesians 2:8-9). God freely gives it. We can’t lose God’s love (Romans 8:38-39). Regardless of whether we accept or deny God’s love, the truth remains – we are loved. So what about you? 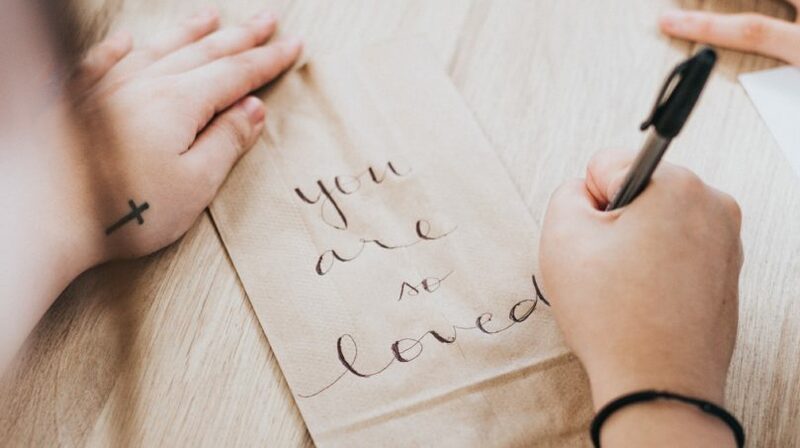 Did you know you are loved beyond compare (Ephesians 3:15)? Do others see you as loving? I hope this Easter season as we reflect upon the cross, we not only accept God’s love, we embody that love to others.